You might start with some tried and true home remedies like ice, massage, or over the counter medications, then modify your exercise routine and lower the intensity of your work out. Pay careful attention to the pain when it happens, and what you are doing. 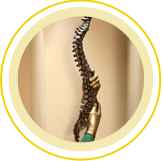 If the pain gets worse or doesn’t go away within 72 hours, a trip to see the providers at Spine & Scoliosis Specialists may be in order. No one knows your body like you do. Remain active through lower back pain, but avoid actions that make your lower back pain worse. 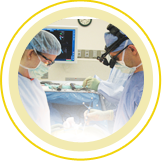 See Spine & Scoliosis Specialists in Greensboro or High Point if your lower back pain does not subside or gets worse. This entry was posted in Back Pain and tagged back pain, Exercising. Bookmark the permalink.